In the 2007-2008 season, Bill Belichick won 18 games and was hailed as a genius. In the same year, Isiah Thomas won 23 games. He was fired. The Knicks have made a lot of mistakes in the last decade, but letting Thomas go was surely the most egregious. He was canned just days after leading the Knicks to one of the 58 greatest seasons in the team's illustrious history. Fans ridiculed his tenure as GM, but that all seems silly after a year in which Eddy Curry and Stephon Marbury won championships on two different continents. Knicks owner James Dolan staged a business meeting with Isiah Thomas yesterday morning at the Mandarin Hotel in Midtown, according to a person familiar with the situation. Can you imagine what these two gods of the front office might have been discussing? Can you even conceive of the temptation of the other restaurant patrons, wanting nothing more than to hear the Meaning of Basketball but forced to cover their ears lest their faces melt off from the Truth? 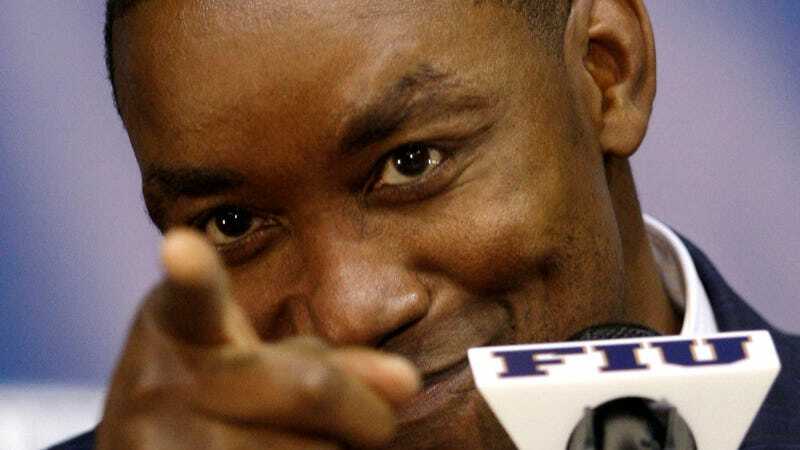 The one person standing in the way of Isiah Thomas officially returning to the Knicks is Isiah Thomas. According to a source close to the former Knicks president, Thomas and Garden chairman James Dolan have had numerous discussions about a position in the organization, but Thomas has been reluctant to accept the job offer. Thomas is showing an inhuman amount of restraint. The entire NBA could be his with just one signature (and three backing vocal performances in Dolan's band, as per all Knicks contracts). All of the armies in the world would bend to his will. Would you trust yourself with that kind of power? Are you sure? Thomas isn't. And until he is, New York will have to wait for glory.